All Delmarva Wifi plans include a dynamic IP Address which support Virtual Private Networking, Remote Desktop, and Server Applications such as Microsoft Exchange and Terminal Services. Corporate VPN, Remote Data Backup, and Voice Over IP services all perform exceptionally well on Delmarva Wifi's overbuilt network. End to end real-time monitoring of our core network latency, node status, and traffic utilization ensures that our engineers are aware of any potential network problems and allow us to quickly respond to and resolve issues in a timely manner. 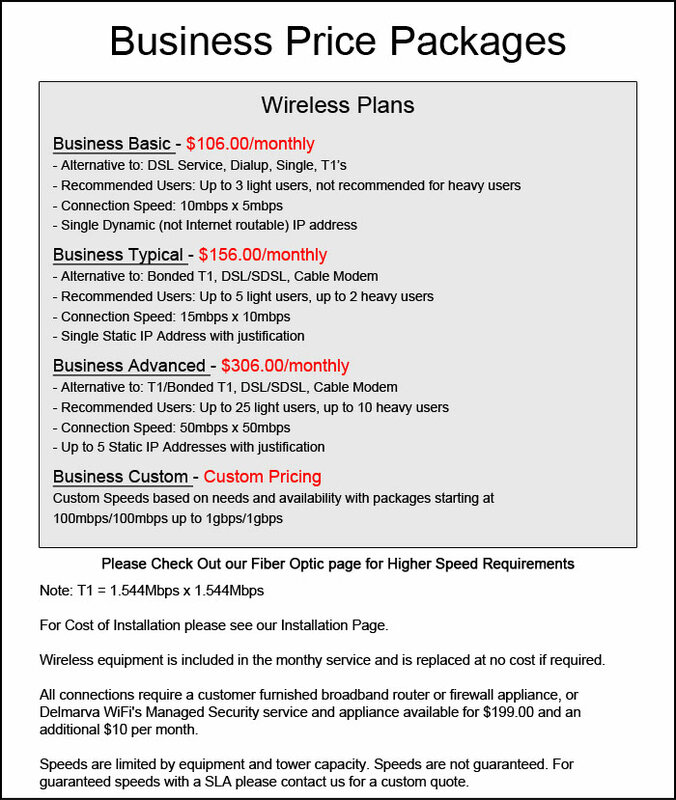 Monitoring of your site's uptime, latency, throughput, and signal quality is included with our Wireless BUSINESS Plans.